The ever-changing nail industry constantly floods professionals with a multitude of new products, techniques and innovations. So which are the best? 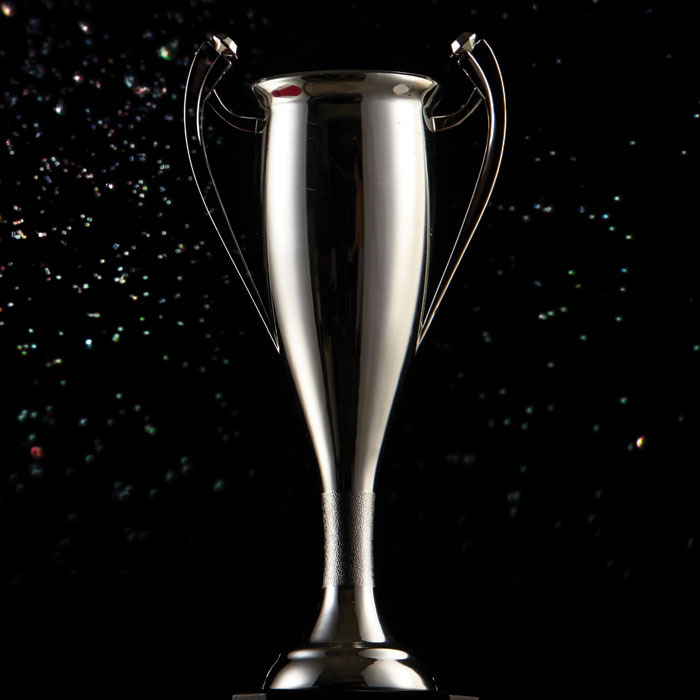 We asked you, the industry experts, what products from 2018 stood out—the ones that you and your salon can’t work without. 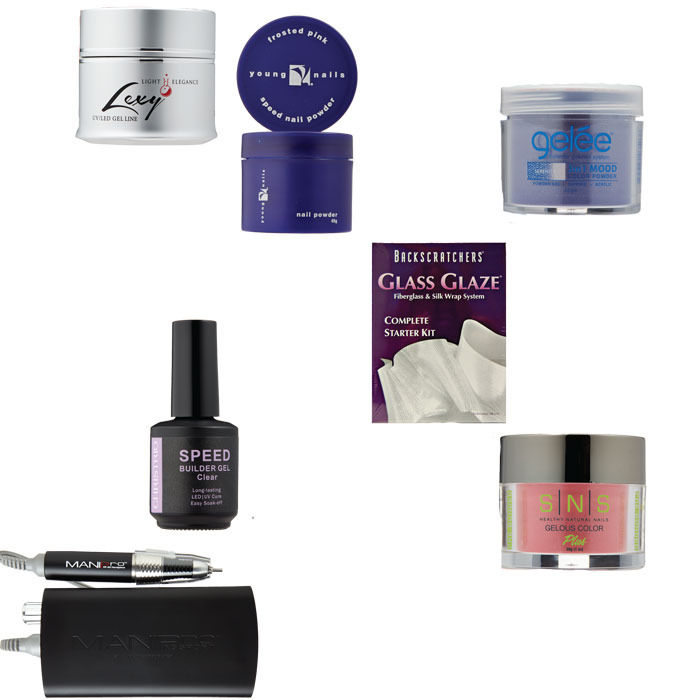 From gel polishes and pedicure staples to nail art essentials and go-to enhancement systems, check out your favorite product picks of the year! the benefits of acrylic and hard gel to create an odorless formula for a more durable enhancement. CND Shellac Luxe: Combining 14 days of high-gloss wear with damage-free 60-second removal created much buzz among pros! 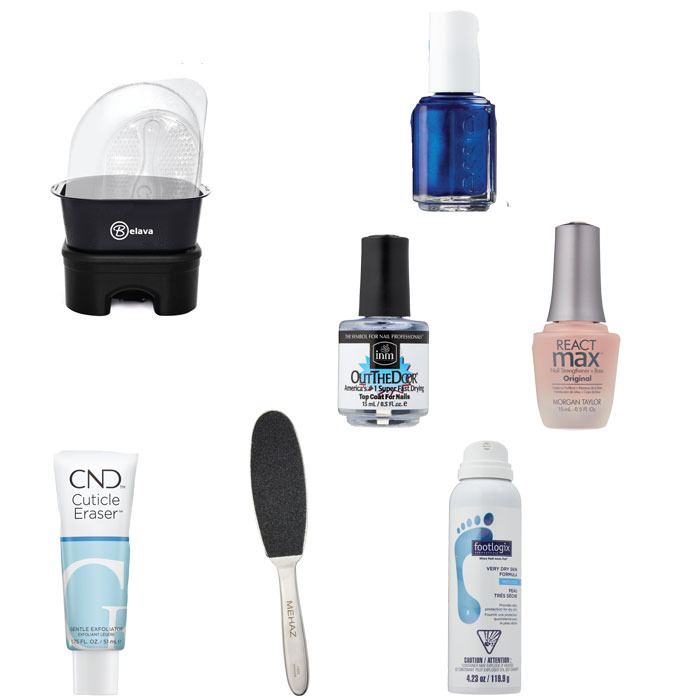 This two-step gel polish system from the creators of Shellac can save 15 minutes per client. With 65 premium colors to select from, Shellac Luxe combines luxury and wearability. Light Elegance LED Dot: The technology leaders at Light Elegance developed a smarter (and cuter) way to cure gels, incorporating the latest dual-wavelength technologies. Utilizing 54 LED emitters and a reflective interior, even curing is always ensured. Young Nails Stain Resistant Gel Top Coat: Acrylic and hard gels are designed to last, so it’s important to take a serious look at protecting those enhancements. Enter the Young Nails Stain Resistant Top Coat. This durable formula battles fading, stains and chipping, making it the perfect solution for clients who constantly work with their hands. Orly Builder in a Bottle: No pods, scooping or tools needed to build a crystal clear extension with this builder gel. Orly developed the self-leveling, no-drip formula that allows you to form-build an extension without any bubbling or cloudiness, saving you time, product and money. Famous Names Dadi’ Scrub: With no parabens, sulfates or artificial colors, this all-over scrub employs organic ingredients to leave skin hydrated and rejuvenated. Coconut and safflower oils lock in moisture and condition the skin, while coarse sugar, salt and pumice exfoliate, making it a perfect pre-polish treatment. Orly Bonder: Orly’s unparalleled rubberized formula binds polish to the natural nail surface for maximum wear time. Famous Names Dadi’ Oil: A blend of 21 essential oils, including vanilla, bergamot, rosemary, lemongrass and lavender, creates the nourishing cuticle treatment’s signature smell. Sourcing 95-percent certified- organic ingredients, Dadi’ Oil uses the benefits of avocado, jojoba and vitamin E to moisturize, condition and infuse the cuticles and surrounding skin with vitamins and antioxidants. OPI Big Apple Red: Local New Yorker or not—this classic, highly-pigmented, high-shine red never fails to stun. Essie Ballet Slippers: This classic pale pink beauty—a beloved red carpet staple—is a favorite for its sheer two- coat finish. the surrounding skin. Bonus: Sleek packaging protects the bristles, extending the tool’s lifespan. Seche Vite: This high- performance formula not only provides a super shiny finish that dries quickly, but also penetrates to the base coat to provide durable coverage and prevent yellowing. Hempz Original Herbal Body Moisturizer: The vegan and paraben-free formula relies on hemp seed oil, shea butter, ginseng and a variety of herbal extracts to calm and soothe dry, irritated skin. Belava Pro Foot Massager: The original classic pedicure bowl is equipped with a powerful massaging unit that, when paired with therapeutic heat, delivers a complete and versatile spa pedicure service. 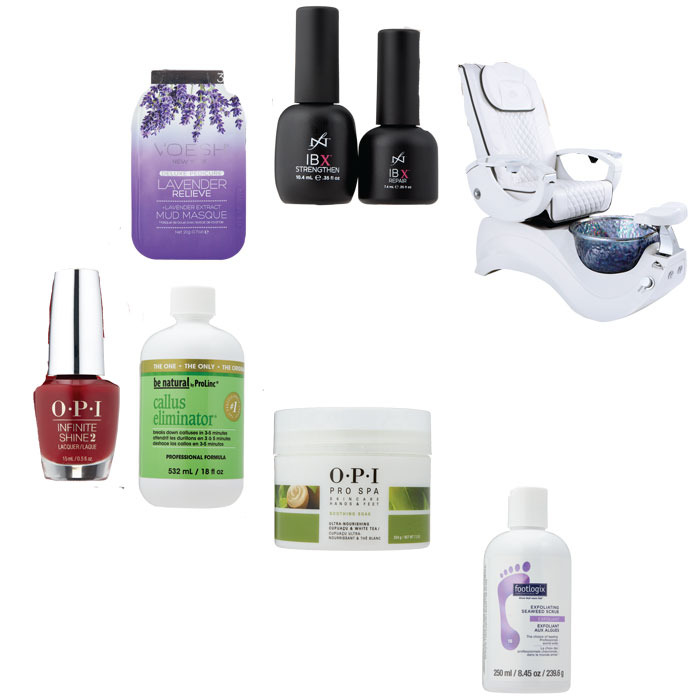 INM Out the Door: A must for smudge- prone pedis: The nonyellowing, chip-resistant formula gets clients out the door in a flash courtesy of its superquick dry- time: It dries two coats of polish in 90 seconds flat! Essie Aruba Blue: This metallic sapphire blue remains a favorite toe hue thanks in no small part to its streak-free formula and high-shine finish. Morgan Taylor React Base Coat: This two-in-one strengthening formula binds polish to the nail plate for extra long wear. CND Cuticle Eraser: The gentle yet effective formula, made with a creamy blend of alphahydroxy acids, micro-exfoliates and moisturizes cuticles and surrounding skin common on dry toes. Mehaz Professional Stainless Steel Foot File: Smooth, crack-free heels are a must, and this go-to pedi tool boasts removable exfoliating crystal pads with a large surface area to save time and effort. Footlogix Mousse: This lightweight, hydrating whipped- mousse formula locks in moisture and absorbs instantly, while boasting antiaging and antimicrobial benefits. CND Shellac Wildfire: An always-classic blue-red cream—it was even named the official nail color of Virgin Atlantic flight attendants in 2011! Gelish Foundation: This fast-curing base coat is the ideal foundation for durable, long- lasting gel manis. CND Shellac: With more than 100 designer shades to choose from, ranging from sheer to opaque, this tried-and-true gel system is universally loved by nail techs for its chip-free, 14-day wear; even coverage; high- gloss finish; and speedy removal sans damage. Artistic Nail Design Glossing Gel: This must-have gel top coat is beloved by nail artists for its nonyellowing formula, as well as the fact that it can be used with any traditional enhancement system to provide a high-shine finish. OPI GelColor Put It in Neutral: The go-to pinky- beige sheer hue works for every occasion and practically every skin tone. Ugly Duckling Nails Matte Top Coat: Ugly Duckling knows nail art, so it’s only natural that its ultramattifying gel topper is a favorite for its easy application and velvety finish. Bio Sculpture: Combining the strength, durability and sculpting capabilities of hard gel with the soak-off benefits of a soft gel, this 10-free formula is designed to preserve the integrity of the natural nail. Voesh Masque: Perfectly portioned for each service, this vegan, paraben- and cruelty-free mud mask provides a cost-effective and sanitary treatment that detoxifies and cleanses skin while tightening pores. Famous Names IBX Duo Pack: The Famous Names two-part system is unmatched in its ability to revive weak, brittle nails while allowing them to grow stronger and longer. Bonus: This system—formulated with nourishing jojoba and avocado oils and protein- building ingredients—can be used under gel polish to reduce damage and breakage. Whale Spa Valentino Lux: Made with top grain stain-resistant, antimicrobial Enduro Italian leather and the premium Caresst Massage Mechanism, this chic, luxurious chair even boasts an iridescent finish on the textured glass basin—fancy! OPI Infinite Shine: The three-step system provides up to 11 days of wear with a shiny, gel-like finish, making it the perfect service upgrade from traditional lacquer. ProLinc Callus Eliminator: There’s no need to work so hard on stubborn calluses thanks to this fast- acting formula. Three to five minutes and it’s smooth skin sailing. OPI Pro Spa Soothing Soak: The fast-dissolving salts found in this soak are infused with white tea, cupuaçu, chestnut, calendula and sage to soothe tired, aching feet, plus detoxifying magnesium sulfate to reduce inflammation. Footlogix Exfoliating Seaweed Scrub: Made with a unique blend of essential oils, organic micro- algae and polished pumice, this formula gently but effectively exfoliates to reveal glowing, rejuvenated skin. Light Elegance Lexy Line UV/LED Hard Gel: This hard gel takes top honors for its thick-viscosity formula that makes building and sculpting easy. The high-quality resin holds its shape while still maintaining flexibility—perfect for imperfect nail plates. Young Nails Speed Nail Powder: Always a crowd pleaser among acrylic devotees, the Young Nails acrylic system delivers consistently natural-looking enhancements, reliable adhesion, a one-minute set time and even coverage, all thanks to the product’s exact particle blend technology. LeChat Gelée: No matter the system you’re using—gel, acrylic or dip—versatile Gelée provides lasting color in a gentle, strengthening formula. Backscratchers Glass Glaze: Wrap aficionados reach for Glass Glaze to repair, strengthen and protect nails with strong fiberglass or silk fibers. Christrio Speed Builder Gel: This self-leveling builder gel is a super time- saver for building clear extensions in a flash. Kupa ManiPro Passport: E-filers favor this indispensible and lightweight portable machine, which boasts a battery-powered control box and up to 10 hours of usage, for every filing, buffing, smoothing and removing enhancement step. SNS Gelous Color: Featuring a formula enriched with vitamins A, E, D, E, B5 and calcium, the world’s first dipping powder remains a staple thanks to its commitment to healthier nails. Young Nails Magic Wand: No nail tech should be without this handy hybrid tool that combines three implements in one: pusher, scraper and reverse pincher. Kupa ManiPro Double-Ended Professional Cuticle Pusher: This double-sided switch-hitter features stainless steels edges to remove cuticles and dead skin gently without damaging the nail plate. Antoine de Paris #215 Curette: This stainless steel tool effortlessly and effectively cleans under the free edge and is perfect for ingrown nails. 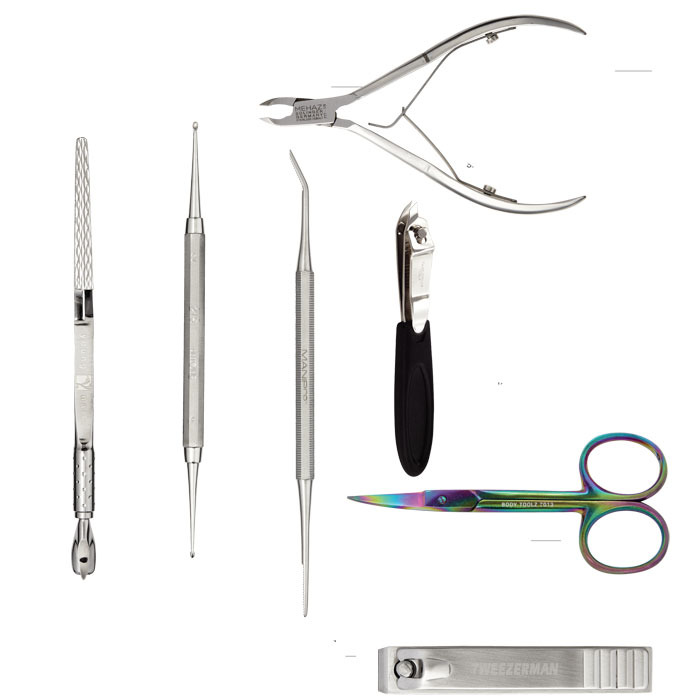 Mehaz Professional Cuticle Nipper, 1/8 Inch Jaw: This precision tool features a textured, nickel-plated handle for a secure grip, while its double-spring technology makes for smooth functionality. Tweezerman Power Hangnail Clipper: Since discontinuing the Cobalt Acrylic Nipper, the Power Hangnail Clipper has taken the lead in this category. Despite the seemingly thin design, these extremely durable stainless steel blades are powerful enough to easily remove tough acrylic. Body Toolz Curved Cuticle Scissor: These precision scissors don’t let overgrown cuticles get in the way thanks to their sleek stainless steel blades. Tweezerman Stainless Steel Toenail Clipper: This heavy-duty clipper shortens nails with ease, while its stainless steel finish prevents tarnishing or corrosion. Daily Charme Nail Art Foil: Daily Charme features hundreds of carefully designed nail art foils from basic one-color to flirty florals. When it comes to design, the sky’s the limit! Light Elegance UV/LED Gel Paints: Ideal for hand-painted nail art, these highly pigmented gel paints boast brilliant blending, marbleizing and layering capabilities. 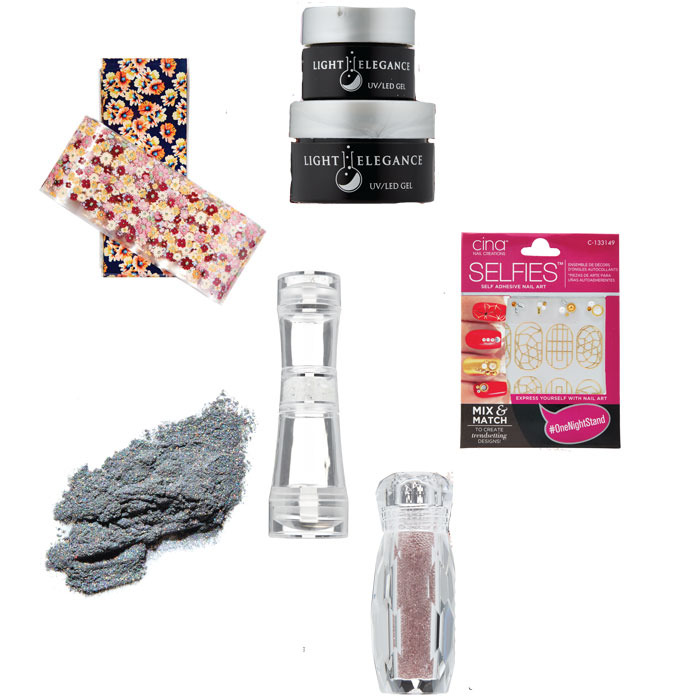 Light Elegance Glitter Gel: This glitter-packed gel doesn’t separate, applies easily over any hard gel or acrylic and has a seemingly never-ending supply of new color releases. CinaPro Nail Art Decals: These pre- designed nail decals make creating trend- setting nail art a breeze to save time and make money. Wildflowers Chrome: With dozens of chrome powders to choose from, Wildflowers Chrome creates that perfect iridescent finish clients covet. Clear Jelly Stamper The Crystal Clear: The original clear stamper makes art extra-easy thanks to its see-through design. Swarovski Crystals: Nothing says luxury like world-renowned Swarovski crystals, the hands-down tech favorite for dazzling nails.